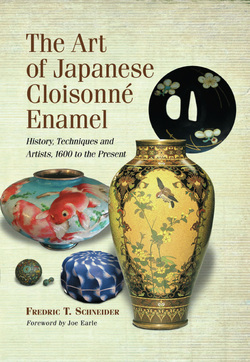 This book is a detailed history of Japanese cloisonné enamel and the development of its many varieties. It also provides specific information and context of substantial value to art historians and others interested in decorative arts design, manufacture, exhibition and sale, particularly during the Meiji era and after. Those interested more generally in enameling will find its precise, detailed descriptions of technique and design both fascinating and helpful. The book contains 150,000 words of text including biographies of dozens of masters, 219 images, 290 marks, full Glossary, 300-entry Bibliography and 1600 Footnotes. 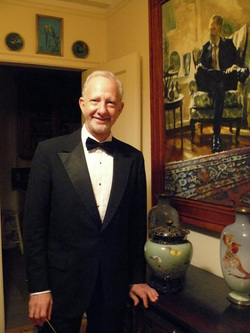 It is intended to supersede Coben and Ferster’s Japanese Cloisonné, published in 1982 as the then definitive work on the subject. Although Japanese enamel is increasingly recognized as an independent, beautiful, and significant field of Japanese art, with museum exhibitions dedicated to it in Japan and elsewhere, it remains too frequently out of sight, and scholarly focus has lagged. A number of books concerning the subject have been published in recent years, but they are generally catalogs of individual collections and consist mainly of photographic images, usually limiting their commentary to the pieces illustrated and a handful of well known masters. This book is meant to fill the gap by providing additional, well organized information for those already involved in the field and by introducing the subject in a more comprehensive way for others.